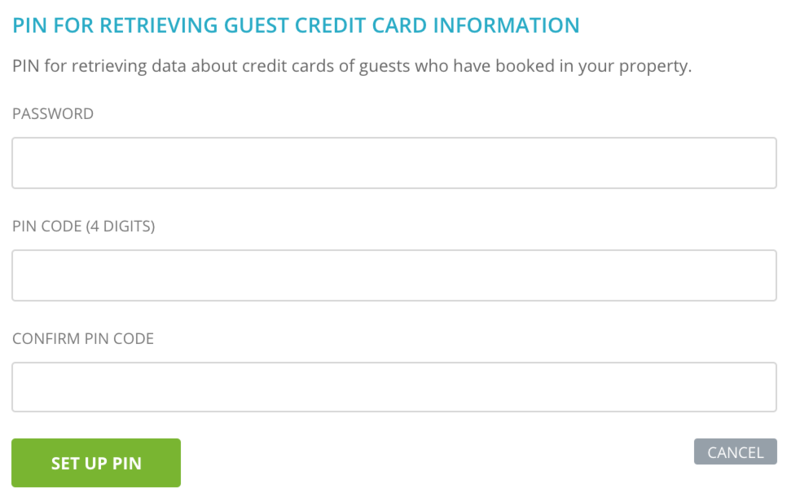 Guests' credit card details are strongly protected. We keep them on a separate secure server, so you have to enter a PIN and your login password to access them. You can set your PIN in Account Settings. To access Account Settings click on your initials on top right. Click on Set and enter a 4-digit PIN number. You will have to enter it twice and save changes. PIN is a mandatory layer of security because more persons can share the same login for Rentlio (par ex. several receptionists). To prevent misuse, we advise that only one person knows your PIN number. By doing so, only one of your employees (or you) will be able to access credit card details. This will further secure the guests, and you as well. Credit card details, if they were provided, you can access through the reservation itself. Simply click on reservation on the Calendar, click "Credit card" and enter your PIN and password to see them. Credit card details for cancelled reservations are available as well. 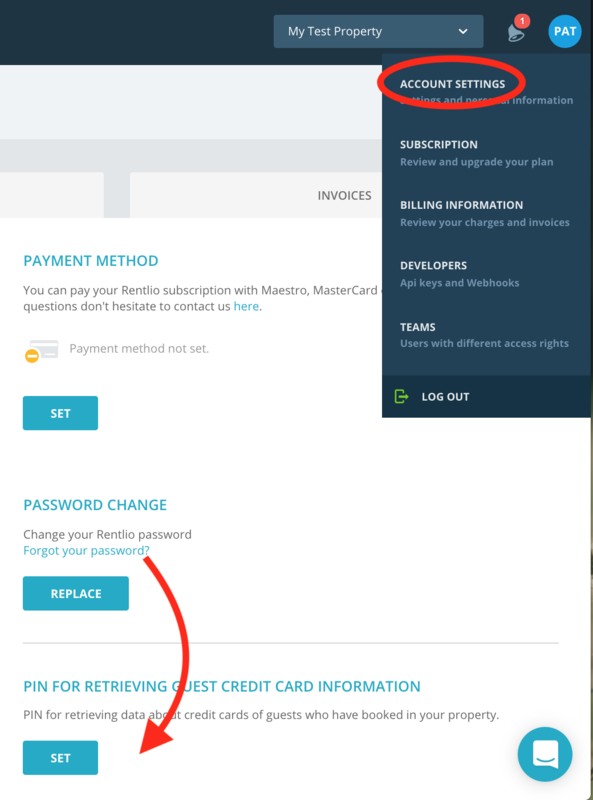 Simply open the reservation through Rentlio search (top left) and access them from reservation. Pro tip: please remember that credit card details are stored up to 4 days post departure. All credit card details are automatically deleted 4 days after the departure date.